You're inspired to do greatness! And we're inspired by you! This podcast demystifies what it means to be in League of Women Voters today. We are volunteers with the League of Women Voters, a citizens’ organization that has fought since 1920 to improve our government and engage all citizens in the decisions that impact their lives. We share stories, tips and how-tos to make sure you are informed and can activity participate in government. 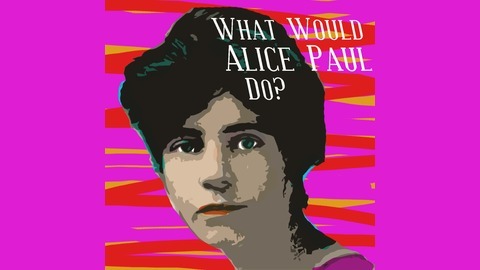 Continue the conversation at www.alicepaulpodcast.com. 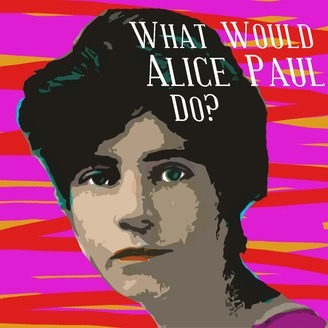 In this episode of the What Would Alice Paul Do? Podcast, we’re continuing our five-part activist series and talking about what a narrative is, when it is used, and how you can craft your own. LISTEN NOW NEVER MISS AN EPISODE! Five parts of a narrative: vision, the hero, the hero’s tools, the threat, the villain and the villain’s tools. Information shared comes from The Narrative Project, an initiative conducted by the Progress Virginia Education Fund and in partnership with Stephen Clermont at Third Eye Strategies. To listen to the two earlier episodes in this five-part series, listen to Episode 23 and Episode 24. A special shout out and thank you to Progress Virginia and Virginia Progressive Leadership Project for the resources shared in this episode. LEAVE US AN APPLE PODCASTS REVIEW! HAVE A QUESTION OR IDEA TO SHARE? LEAVE US A COMMENT!